Wim Wenders achieved international fame with his 1984 film, Paris, Texas, which won the Golden Palm at the Cannes Film Festival. In 1987 he received the best-director award at Cannes for the hauntingly beautiful Der Himmel über Berlin (Eng. title Wings of Desire), in which angels roam modern-day Berlin. The film was noted, as are all his projects, for its lush visual imagery. His documentaries Buena Vista Social Club (1999), Pina (2011) and The Salt of the Earth (2014) have all received Academy Award nominations as well. 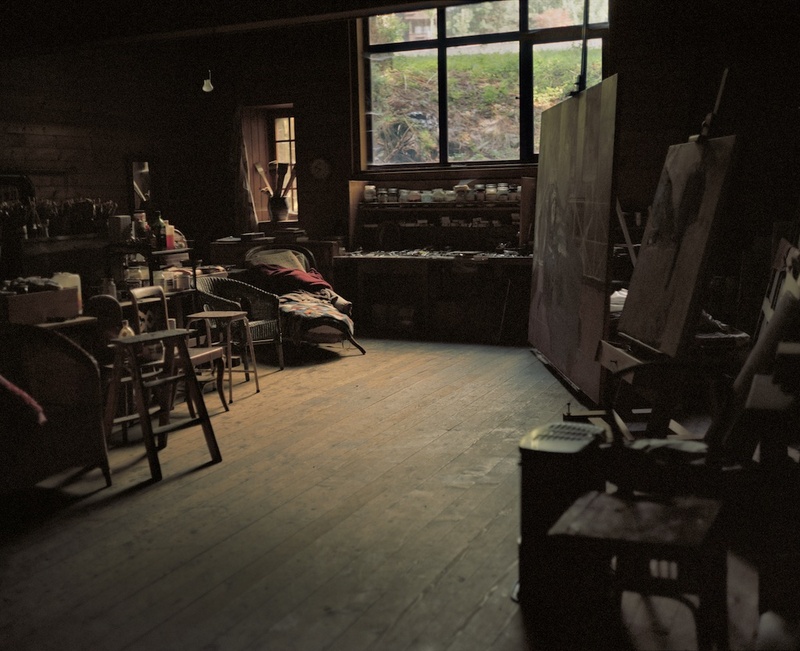 In 2018, he wrote on Balthus in the catalogue of the Balthus exhibition in the Beyeler Foundation and finished a short documentary on the artist's studio, wich we present in the current Balthus Chapel installation. Katerina Jebb is a British artist and photographer, whose works have been shown in and are included in the collections of the Whitney Museum in New York, the Hayward Gallery in London, the Museum of Decorative Arts of the Louvre, and the Musée Bourdeille in Paris. Jebb focuses on Balthus's tablier, or painting smock, through a unique scanning technique. This remarkable work garment was worn by the artist every day throughout a 60 year period and has never been washed. Scanned in high definition fragments of 30 by 40 cm, the parts are then reassembled to form two pieces – the front and the back of the tablier. The artist gives new life to the object through a searchingly objective process, endowing it with a symbolic and timeless power, as she meticulously captures bursts of lost colour within decades of accumulated paint – a beacon of permanence amidst the passing of time.